I love these hair binders. I have extremely long hair so I use a lot of scunchies and bands. These are beautiful and work wonderfully. I have them in multiple colors. The girls I gave these to for Christmas love these. Exactly what I was hoping for. 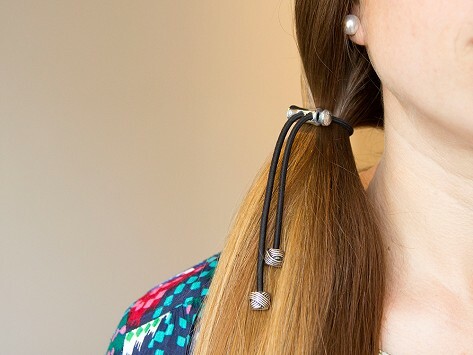 I don't like tight hair ties because of migraines and this is just what I need. Will order more! Looks so nice in my daughters hair. This hair tie brings me a little piece of joy. I got it for my daughter but I wear it. The occasional sound of the little boots tapping makes me smile.